NIBLSE is an NSF-funded Research Coordination Network that facilitates the integration of bioinformatics into life science curricula. The NIBLSE network currently has 80 formal members representing a diverse set of higher education institutions. The network has established infrastructure and resources to support integration of bioinformatics exercises, modules and courses. We seek to expand our membership and support faculty who share our mission and goals. Collaboratively identify, vet, and refine a set of bioinformatics core competencies. Identify and vet assessment tools. Organize and simplify the dissemination of materials. We proudly announce that NIBLSE has established a set of bioinformatics core competencies. 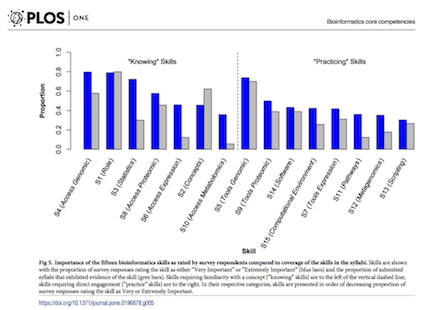 A publication describing these core competencies was recently published in PLOS ONE. In each of our newsletters we will highlight a NIBLSE core competency. All nine competencies can be found on the NIBLSE Website. Our first highlight will feature Core Competency 1 (C1). C1. 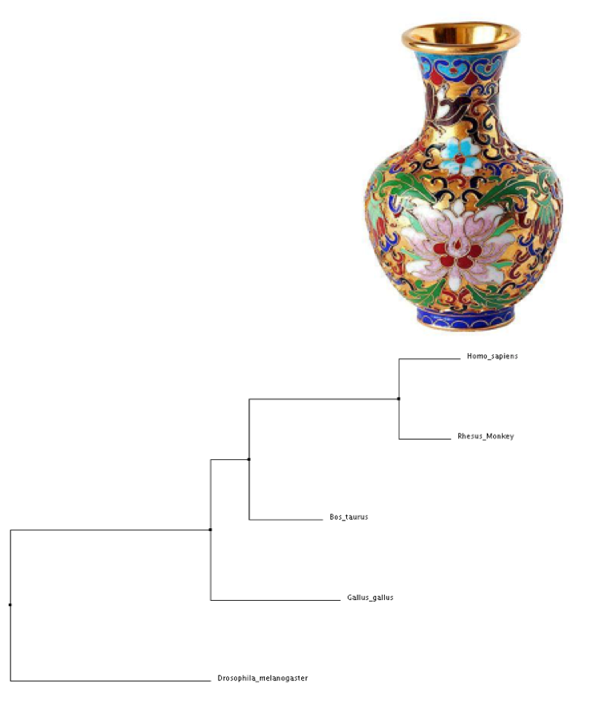 Explain the role of computation and data mining in addressing hypothesis-driven and hypothesis-generating questions within the life sciences. Life sciences students should have a clear understanding of the role computing and data mining play in modern biology. Given a traditional hypothesis-driven research question, students should have ideas about what types of data and software exist that could help them answer the question quickly and efficiently. They should also appreciate that mining large datasets can generate novel hypotheses to be tested in the lab or field. In each of our newsletters we will highlight an educational resource available in the Resource Collection. 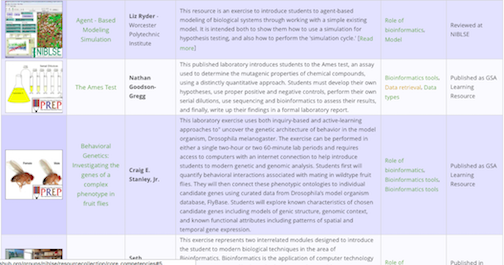 Our first resource highlight will feature an exercise that explores bioinformatics concepts and tools developed by Adam Kleinschmit from Adams State University called Bioinformatics-Investigating Sequence Similarity. It is an exercise that utilizes simple paper models to help students understand matrices and algorithms prior to use of web-based computational tools. The exercise specifically addresses Core Competencies C2 (Computational Concepts), C4 (Bioinformatics Tools), C5 (Retrieve Data) and C8 (Data Types). NIBLSE is actively seeking to expand membership, resources and activities. Become a NIBLSE member and explore NIBLSE resources and opportunities at niblse.qubeshub.org/getinvolved. Also be sure to see a more detailed NIBLSE Summer 2018 Project Update.